(Courtesy photo) Finca, the Spanish tapas restaurant in Salt Lake City, will transition into George and Bar George on Dec. 1. Salt Lake City diners should wave goodbye to Finca — then say hello to George. On Dec. 1, the 6-year-old Spanish tapas restaurant at 327 W. 200 South officially transitions into a new restaurant and bar, named after the late father of owner Scott Evans. While several factors prompted the transition, Evans said the final straw came after recent changes to Utah liquor laws that made it difficult to operate a bar and a restaurant in the same space. Evans, along with chef Phelix Gardner, opened Finca in 2012 in Sugar House. Two years later, they moved the restaurant to its current location in a historic building. The new site was larger and could accommodate groups and private dining. In 2017, the Legislature overhauled Utah’s liquor laws, easing restrictions on the 7-foot-high restaurant barriers — aka Zion Curtains — designed to hide the mixing and pouring of alcoholic drinks from children. The bill also eliminated dining clubs. Business owners, like Evans, who had the hybrid liquor license from the Utah Department of Alcoholic Beverage Control had to decide whether to get a restaurant liquor license (which requires patrons to order food with alcoholic beverages) or a bar license (which allows only those 21 and older on the premises). Finca and several other liquor-serving businesses didn’t want to choose. They wanted to have a bar and a restaurant in the same building. While the law allowed for these multiple or “dual” liquor licenses, there were restrictions — namely that a wall or barrier be constructed to ensure that the two serving areas are clearly separate. (Courtesy photo) The new glass partitions at Bar George. Evans — who owns four other Salt Lake City restaurants with another on the way — has been in business long enough to know that when the Legislature hands business owners lemons, they have no choice but to make lemonade. 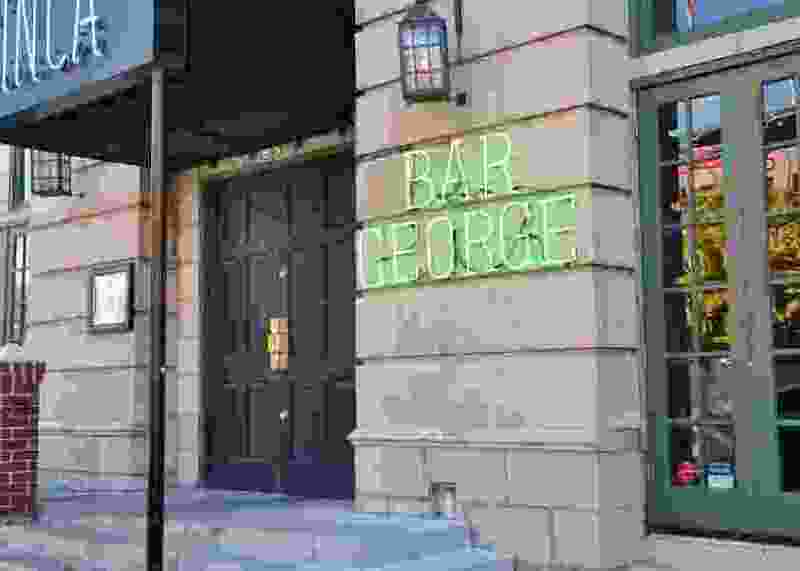 Over the past few months, he has spent an additional $50,0000 to construct the glass-partitioned bar area — which will be called Bar George. In the process of building the bar, Evans, Gardner and the rest of the Finca team reimagined the restaurant, too, deciding to move away from the trendy small plates to a gastro-pub with salads, hamburgers, sandwiches and housemade pastas. George, the restaurant, will pay homage to its predecessor, with an appetizer menu that includes several of Finca’s most popular small plates. The signature paella entrée that feeds two people also remains. Most entrées range from $12 to $18, with a few higher-priced items like French beef Burgundy ($23) and a cold-smoked rib-eye steak ($28). 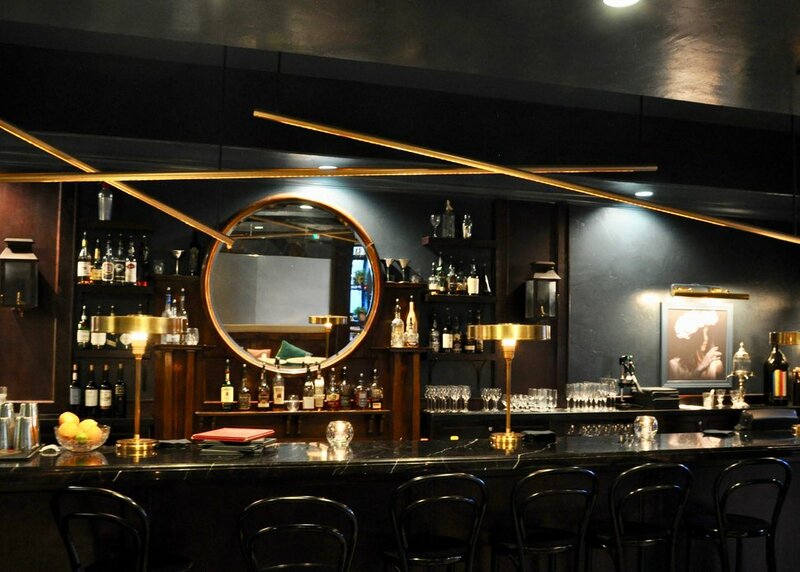 Bar George reflects Evans’ love and expansive knowledge of wine. It will feature a list of 40 natural wines — those that have been made with sustainably farmed grapes and without any additives — including many by-the-glass options. George and Bar George are named after Evans’ late father, George Evans, who contributed to his son’s interest in food and dining. The elder Evans lived in Los Angeles and when his son — who lived in Utah — visited, their time together almost always revolved around food.